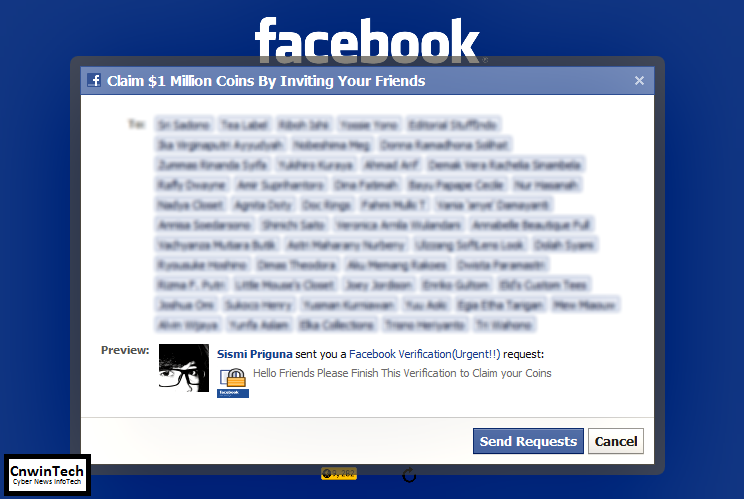 Beware of scam a new way to staking your Facebook account. Fraud is happening on Facebook at this time give notice to register your account activity to be encrypted by Facebook team before on June 15, 2012. The content announcement of these scam was also gives the lure that Facebook is doing self-protection against scam attacks from Sopa (Stop Online Piracy Act) and PIPA (Protect IP Act) laws. 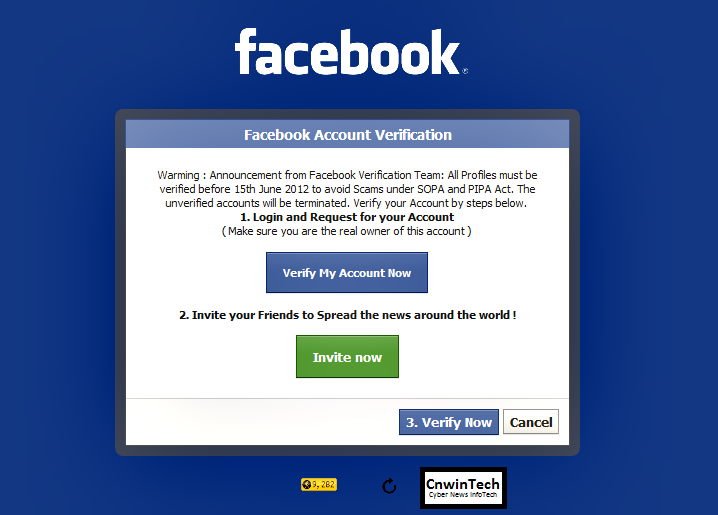 Then, you are required login to your Facebook account to the button that already provided. But after you press the button, then this scam directly will make an announcement to claim US$1 million coins and spreading news throughout your Facebook friends. This trick has several times applied to several social media sites and actors deliberately use a name brand as well known brand to convince the victim to spread fake announcements.